The number of property sales in Cyprus continued to rise in October, the number of contracts deposited to the Land Regisrty offices increased by 6% compared with October 2017. In October a total of 811 sale’s contracts of residential and commercial properties and land were deposited at Land Registry offices, compared with the 768 deposited during October 2017. Of the 768 contracts deposited, 403 (49.7%) were for properties purchased by non-Cypriots. Figures show a continuous improvement in economic conditions combined with government measures such as citizenship by investment scheme. Although sales in Limassol fell by 6% compared with October 2017, they rose in all other areas. 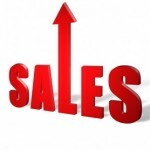 As a percentage, Nicosia led sales growth by 24%, followed by Famagusta, where sales grew by 12%. Meanwhile, sales in Paphos and Larnaca grew by 11% and 5% respectively. In the period from January to October 2018, sales increased by 19%, while the number of sales contracts rose to 7,517 compared to the 6,291 deposited in the same period last year. This year, sales in Famagusta have risen 34%, while sales in Nicosia have risen 33%. Meanwhile, sales in Limassol, Paphos and Larnaca have risen 20%, 13% and 9% respectively. The Land Registry figures reveal that a total of 403 property sale contracts were deposited by non-Cypriots during October 2018. Of those 146 were deposited by EU citizens and the remaining 257 by non-EU citizens, but we cannot quantify the number of non-EU citizens who bought property with a view to applying for citizenship. Paphos remained the most popular district with the overseas market with the number of property sales contracts deposited reaching 180. Limassol recorded 113, Larnaca 70, Famagusta 21 and Nicosia 19. In the first ten months of 2018, a total of 3,589 purchase and sale contracts were signed by foreign buyers, of which 1,150 were deposited by EU citizens and 2,439 non-EU citizens. Limassol remains the most popular destination for non-EU citizens, and Paphos is in great demand among EU citizens.